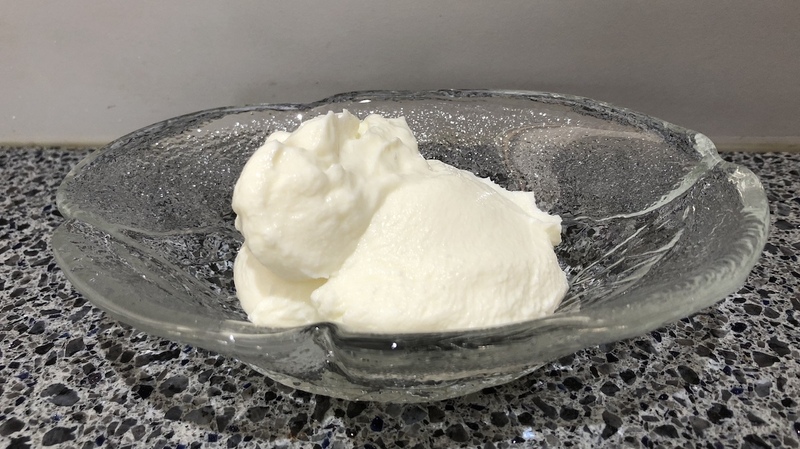 Melbourne-based Procal Dairies was the first to release its version of skyr in September 2017. 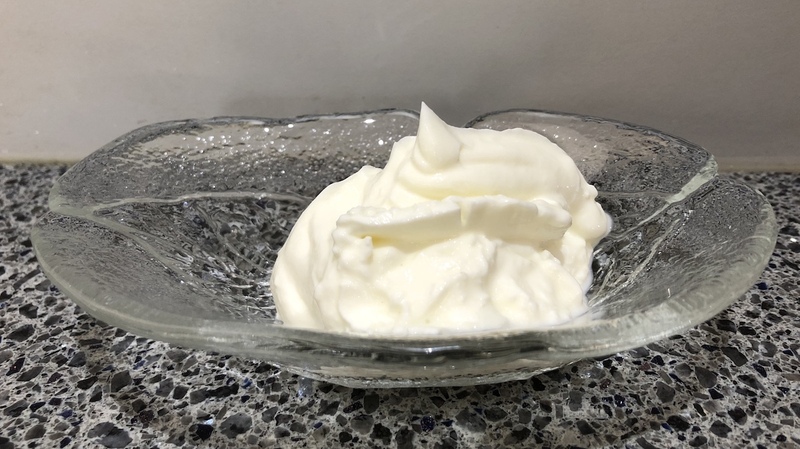 Procal skyr is thick and holds its shape. Its texture is smooth and there is a creamy mouthfeel not present in the other two skyrs in this review. This skyr is fairly acidic. 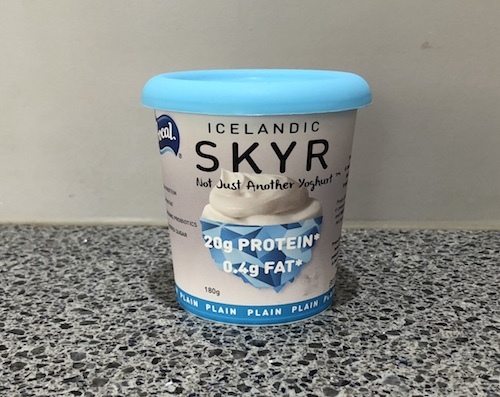 Also present is an oddly metallic (but not unpleasant) aftertaste; we cannot recall if authentic Icelandic skyr has this flavour. Procal Dairies Skyr comes in 180 g tubs and is currently available only in Coles supermarkets. There are also some flavoured varieties. 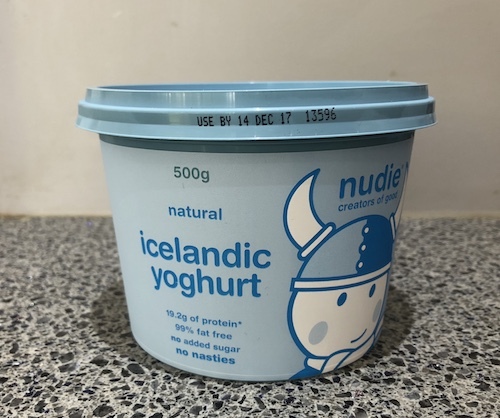 Trendy Sydney-based nudie Foods sells Icelandic Yoghurt without calling it skyr. It proudly declares that some of the yoghurt cultures come all the way from Iceland. Nudie Icelandic Yoghurt holds its shape well. 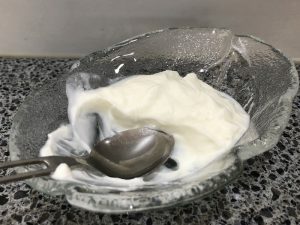 It has a slightly gritty mouthfeel reminiscent of natural European-style yoghurt. 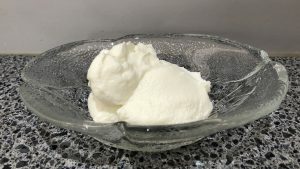 It is less acidic than Procal Dairies Skyr and has a pleasant, almost sweet, aftertaste. 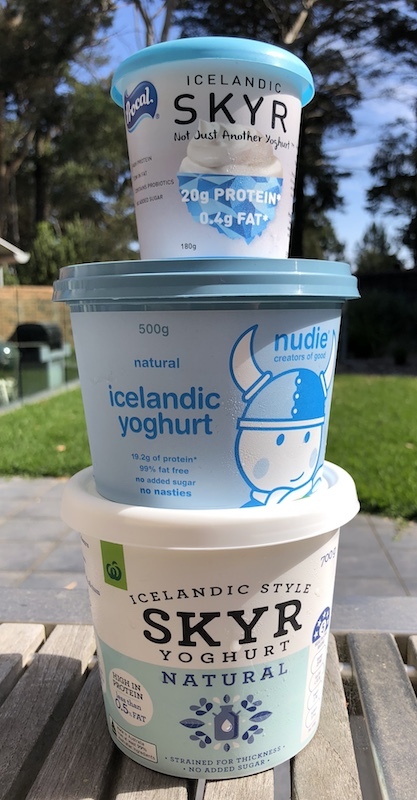 Nudie Icelandic Yoghurt is available in 500 g tubs and can be found in Woolworths supermarkets. There are also some flavoured varieties available in smaller tubs. Not to be left out, Woolworths is selling a store-brand version of skyr. 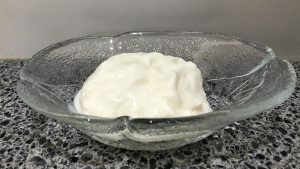 Woolworths Skyr is much less thick than the other two in this review and doesn’t hold its shape as much. It has a smooth mouthfeel but little acidity or aftertaste. 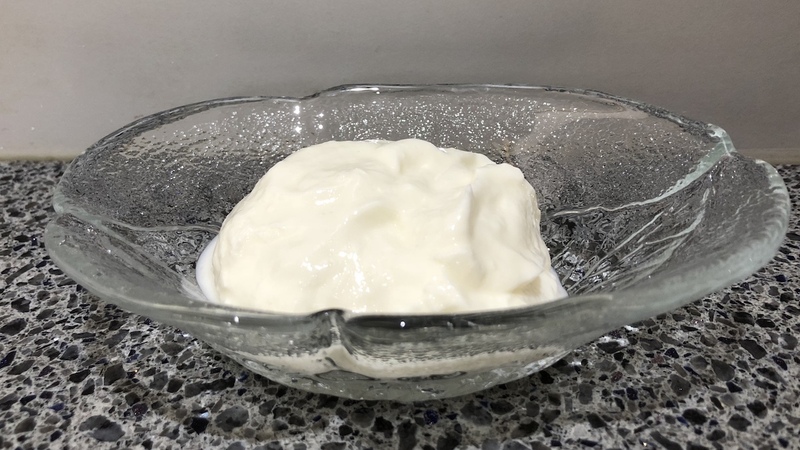 We found it to be fairly bland overall and probably couldn’t distinguish it from many Greek-style yoghurts already on the market. The nutritional information is generally lower in most categories which suggests that this skyr has a higher water content than the other two and perhaps hasn’t been strained as thoroughly. Woolworths Skyr is available in 700 g tubs and is (obviously) only available in Woolworths supermarkets. The warden and two inmates of Ice Moon Prison tried all three in a non-blind taste test. 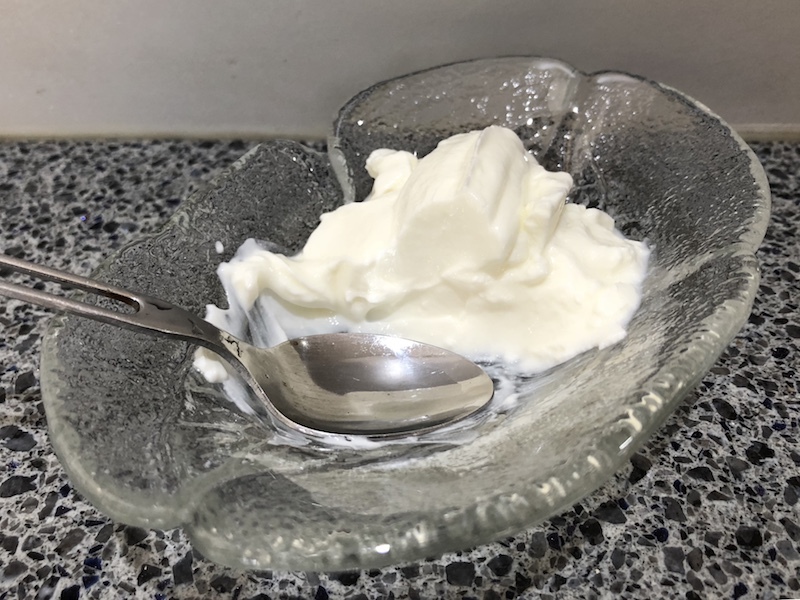 None of us preferred the Woolworths Skyr; we all thought it was fairly flavourless. Opinion was split between the Procal and nudie products, primarily on the strength of flavour. We concluded that the Procal skyr is the boldest of the three and most likely to be an acquired taste. The nudie Icelandic Yoghurt is likely to appeal the most to casual plain yoghurt eaters. Materialised, not materialized. This is Australia not the us. Thanks for the review I have been looking for this in Australia. We’ve noticed that the Procal Dairies skyr has vanished from shelves in Coles since about January 2018. This is an unfortunate development. Had the extreme displeasure of trying the Nudie Icelandic yoghurt the other day and it was like eating liquidised chalk. With very little information on the packaging to inform what it should be like we assumed the product to be defective, spoiled or simply not for us. After gagging on a mouthful each the rest went into the bin. Packaging needs improvement to explain the concept better, it may well have been improved with copious amounts honey or agave, although that wouldn’t have helped the texture. Apple, pear, creme brulee, blueberry, strawberry, mixed berry, pineapple and mango, coconut, vanilla, banana, chocolate and another strawberry type that looked different but we couldn’t determine what it was. Maybe strawberry and honey. 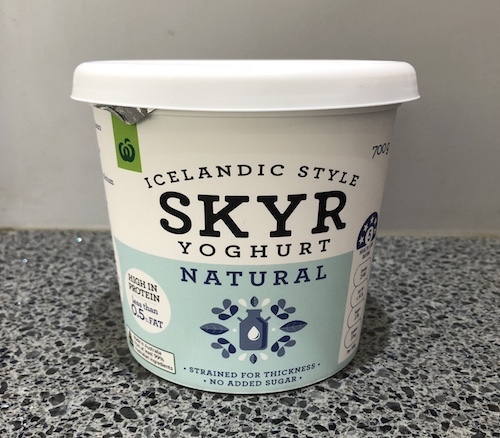 I am just hoping they bring the real stuff to Australia instead of tarnishing Iceland skyr’s reputation with a truly inferior generic product. Yes I concur! Icelandic skyr way different to the nudie brand I purchased the other day. 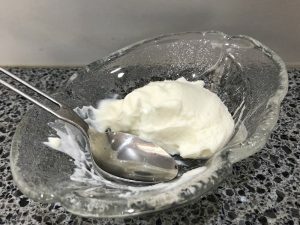 Would love a way for real icelandic skyr to make it to Australia. Been searching for a low fat low sugar yoghurt to replace those deleted by Margaret River Dairy Co in WA – tried Chobani’s 0.5% fat yoghurt, now that really does taste like chalk solution or something. Just tonight tried the Woolies Skyr and that is way different and very promising. Thanks for these reviews, we will probably try the nudie as well just for comparison. Overall though, amazed by how many people still want yoghurt loaded with fat and sugar. You just need to let your body and taste buds become accustomed to reducing those components; and if you must have it with something sweet, try it with fresh fruit as we do.